April certainly has brought with it the flavor of autumn. 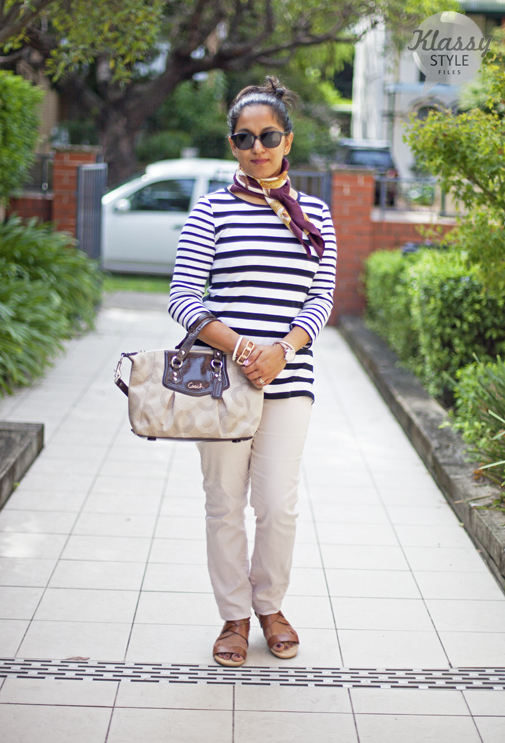 Its time to dust off the coats, bring out the scarves and be ready for cooler weather. I’ve been studying mixed patterns with great interest recently and I decided to try it out albeit a little conservatively. I guess there couldn’t have been a better choice than stripes to begin, also since they are a big trend this season its an added bonus! A long sleeve striped tee will take you a long way this season, whether its a base for mixed prints or worn with colored denim or a pencil skirt. 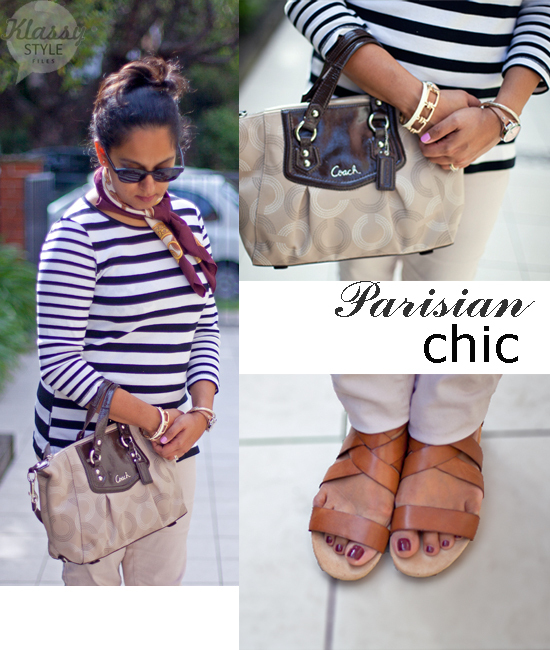 Its such a classic piece, versatile and ‘Parisian’ chic. Agreed? 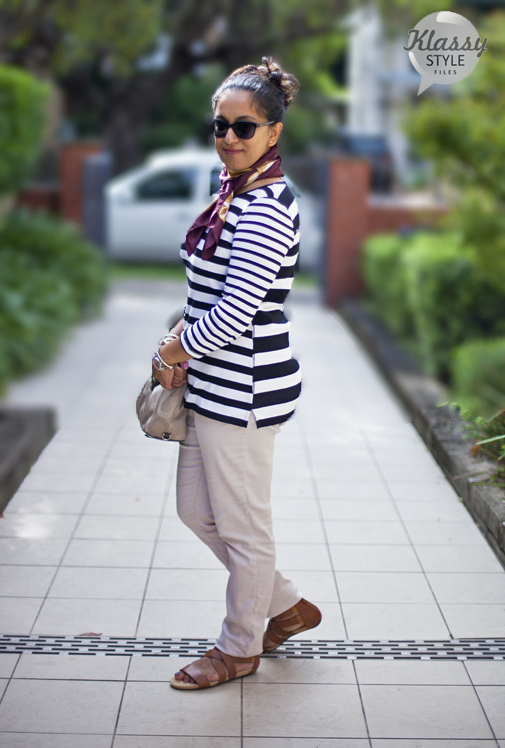 Experiment with stripes in Autumn’14 for your very own ‘Parisian chic’ look! Thnx for ur kind words on the blog. U r too sweet. Tres Chic!!! You look every bit the glamorous Parisienne!!! 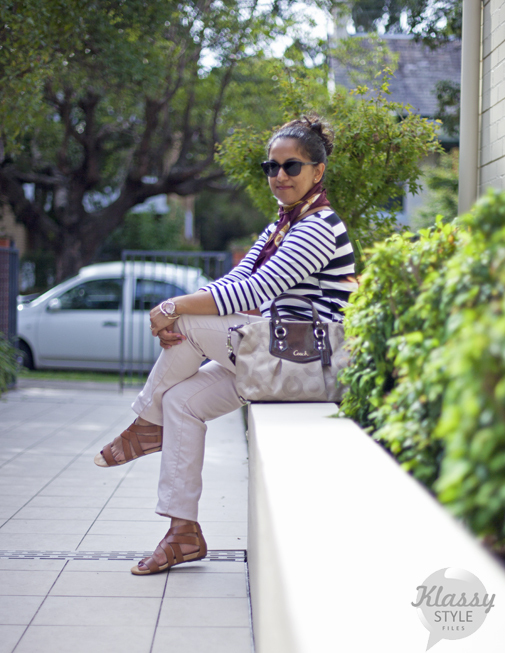 You are looking cool…I love the T – with combinations of Stripes.. Truly chic! You look so elegant! Love that scarf around your neck.